This is a 180 page Course book and exercises plus a separate 36 page Glossary to learn the Iraqi Dialect. “The main objective of this course it to save lives. 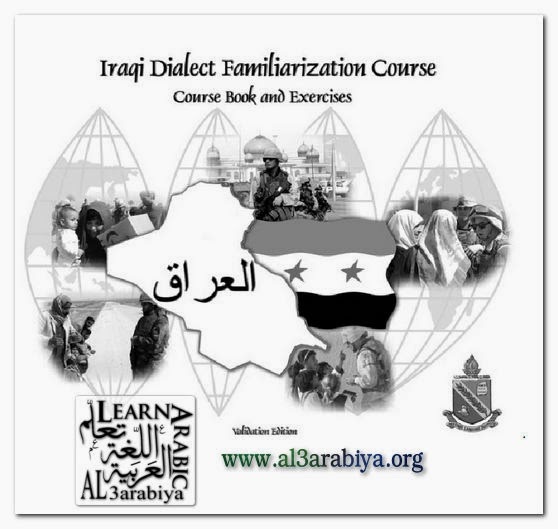 The course evolves around interaction and communication in the Iraqi Dialect that forms an integral part of the US mission in Iraq.” There are illustrations, photos, the Arabic alphabet, numbers and words written in Arabic, and English with pronunciations and much more.